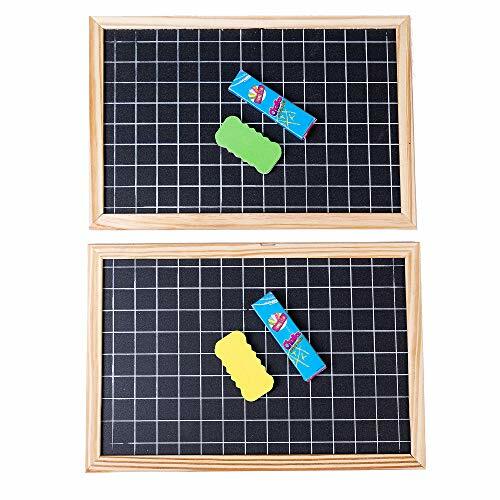 2 Pack Chalkboard Grid Frame Reversible Chalk Board DIY Calendar Kids Chore Chart Schedule Educational Toys Events Weddings Accessories School Supplies Blackboard 10.24 x 10.83 x .28 Inches Each. This 2 Pack of rustic chalk boards with permanent grid lines makes a great organizational gift or present, and is perfect for school, work, or home office. Use as a chore chart for your house, or as an educational took for your kids.